Registered nurses form the largest segment of the health care workforce, with more than 79,000 in Maryland alone. In emergency rooms, where patients arrive expecting immediate care for serious health threats, registered nurses help to stabilize emotions of both patients and their families and orchestrate care in such as way as to maximize positive patient outcomes. In long-term care, registered nurses attend to aging seniors and those who are disabled to promote health and prevent diseases. In these and other areas, nurses are the backbone of the healthcare team. Their roles and responsibilities have evolved in response to the increasing complexities of diseases. Therefore, they must be prepared to meet challenges and incorporate technology in the delivery of care. The associate’s degree in nursing prepares students for an entry-level position in many health care settings. It facilitates a fast and affordable route to obtain eligibility to sit the NCLEX-RN and become a registered nurse. Although there’s room for ADN-prepared nurses in the unstaffed workforce, more hospitals are showing their preference for nurses prepared at the bachelor’s level. BSN nurses are better prepared to have a substantive impact on health outcomes – as published in several nationwide studies. In a 2010 report, the Institute of Medicine identifies the importance of well-educated nurses in boosting patient outcomes. The report recommends that 80 percent of RNs hold at least a baccalaureate degree by 2020. A well-educated workforce is critical to the delivery of quality care to Maryland residents who seek care in their homes, in emergency rooms, ambulatory care settings, and other health care facilities. Whatever their educational status, all nurses will make a difference in the lives of patients as they use their training to collaborate with teams and optimize outcomes. The Associate Degree in Nursing (ADN) program prepares graduates to deliver competent, nursing care in a variety of health care settings under the direction of a licensed practitioner. Students can complete the program in two academic years. Prerequisite course requirements will extend the time required to earn the degree. The curriculum follows a proper sequence that must be completed in the prescribed order. 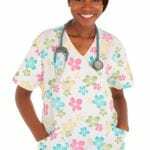 Licensed practical nurses and some other health care professionals may be able to complete the courses earlier with some transitional courses. Students learn the discipline of nursing through the theoretical and practical components of the program. Specialized training designed to develop critical thinking and the development of technical skills prepares students to promote and restore health and prevent disease. It also helps students develop the competency to respond to common and complex situations, using sound judgment and clinical decision-making. The curriculum covers general education and nursing courses. The humanities support the delivery of care seasoned with compassion and empathy. Science courses set the foundation for the core nursing courses and support the use of a scientific approach in practice. The nursing courses form the latter part of the curriculum and draw from the scientific and humanistic knowledge base to encourage critical thinking. Courses such as the introduction to clinical nursing, pharmacology, medical-surgical nursing, psychiatric-mental health nursing, maternal child nursing, and preparation for practice cover care of the individual, the family, and the community. Students also learn the impact of cultural and social issues on health and practice. Planned clinical experiences in various health care settings help students apply the principles learned in the classroom. They also develop leadership and management skill and a deeper understanding the professional responsibilities of a registered nurse. Upon completion of the program, graduates can apply to the Maryland Board of Nursing to sit the NCLEX-RN and practice as a registered nurse. Admission to nursing programs is competitive, so applications and supporting documents should be submitted early. In also every case, the applicant must secure admission to the college before applying to the nursing department. Admission to the college may require placement testing and a personal interview. Scheduled information sessions will provide additional details on the requirements and expectations for the nursing program. Volunteer or paid experiences in healthcare, training and certification as a CNA, and completion of prerequisite courses before applying to the program could improve chances of selection. Apart from the common requirements, nursing students must complete a background check, TB and drug screening, health screening, and CPR to participate in the clinical experience. Submit a completed application and meet the school’s requirements for general admissions. Complete the prerequisite courses with a grade C or above. The tuition rate at community colleges for Maryland residents is $106 per credit. Out-of-state students will pay approximately $270 per credit. Other expenses include registration fee, lab fees, graduation fee, placement testing, prerequisite courses, health and liability insurance, CPR certification, clinical supplies, uniform, and textbooks. No person may practice as a registered nurse in Maryland without a valid license. Any violation is prosecutable by law. All applicants must disclose their social security number or Federal Tax Identification on the application. The Maryland Board of Nursing will not process applications that do not have an SSN or Federal Tax ID Number. This information will be used by the Board to verify the applicant’s identity with respect to final adverse actions related to the license, the administration of the Child Support Enforcement Program, and identification by the Maryland Department of Assessments and Taxation of new businesses in Maryland. Complete the application for licensure online. You must provide a valid email address as it will be your username and used as the primary means of receiving communication from the Board. Provide the requested information to avoid delays in processing your application. Pay the non-refundable application fee of $100. Submit a properly formatted passport-style photo with your application. Confirmation of completing a degree or diploma from an approved registered nursing education program. Out-of-state graduates must request an official final sealed transcript to be sent directly to the Board of Nursing. Complete a Criminal History Record Check before submitting the application for initial licensure. The electronic form is available online for in-state applicants. A list of fingerprinting sites is available at CJIS. Pay the fee and complete the fingerprint, keep a record of the tracking number, and provide it as a receipt during the online application. Mail the fingerprint card to the CJIS with the respective fee for the CHRC. The Board must receive confirmation of that you initiated the CHRC to approve the Authorization to Test and/or issue a temporary (90-day) license to work as an RN. Declare your primary state of residence. After your successful passage of the NCLEX and the other requirements for licensure, the Board will issue a paper license. However, employers must use the “Look Up A License” feature on the Board’s website to confirm your license. Provide a permanent mailing address when applying for a temporary license – especially if you will not be residing in Maryland for an extended period of time. Submit confirmation that you initiated the CHRC to avoid delays in processing your temporary permit. Temporary permits are valid for 90 days from the date of issue. It will expire immediately, and you must cease working if you fail the licensure exam. Pay the non-refundable application fee of $100 using a Visa or Mastercard credit or debit card. A temporary permit costs an additional $40. Provide verification of nursing licensure. Complete the verification on Nursys.com if your original state of licensure participates. If the state is not listed on NurSys, you’ll need to print out the verification form on the Maryland Board’s website, fill out the top and contact the state where you took the Boards to mail the form and payment to process of verification of licensure. Foreign-educated nurses who have not worked in the US for five years must complete an oral English test and request that the results be sent to the Maryland Board of Nursing. Acceptable tests include the ILA OPI, TOEFL iBT, or the IELTS. Enclose the application processing fee of $40. Complete verification of your active registered nursing license. Provide evidence of English proficiency if you are foreign-educated and did not work in the US for five years. The Maryland Board of Nursing renews registered nurses licenses biennially based on the year of birth. A criminal background check must be completed as part of the renewal process, and CHRC receipts should be submitted by email, fax, or mail. If you were convicted of a crime or had action taken against your licence, you must send all documentation to the Director of Rehabilitation and Discipline. Renewals must be submitted online. A valid email address is required for completing the online process. Be prepared to provide your Nursing License Number, SSN, and last name. The biennial renewal fee is $146 and includes the $36 MHCC fee. There are no continuing education requirements for registered nurses in Maryland. A labor supply shortage of registered nurses is imminent in the state of Maryland. While there’s an urgent need for nurses who hold a four-year degree to fill positions in hospitals, ADN-prepared nurses are critical to the continuation of care in long-term settings. As the baby boomer population approaches retirement, they will present an added burden on the health care system. The existing shortage, aging population, and greater access to healthcare are raising questions about the ability of the system to meet new demand, especially in physicians’ offices, long-term care facilities, and in-home care. The more than 888,000 over-65 seniors in Maryland will need care in physicians’ offices and in-home care. One obvious means of meeting the onslaught is to produce new nursing graduates at a steady pace to meet the rise in the aging population. Associate degree programs present a short-term solution as graduates can take up vacant positions in long-term care facilities and hospitals. Considering the need to meet new demands and also replace retiring nurses, the job outlook for registered nurses in Maryland remains positive. The U.S. Department of Labor predicts a 16 percent growth in RN positions nationwide between 2014 and 2024. The prediction does not include job replacement needs, which will add a few hundred additional positions in Maryland. 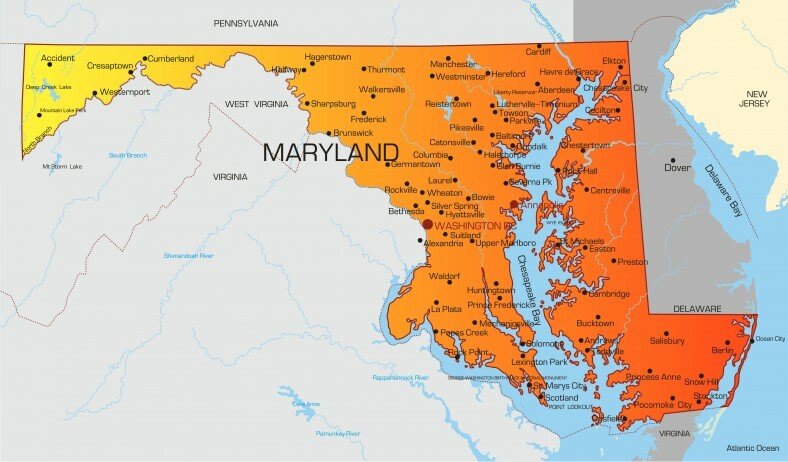 The US Health Resources and Services Administration projects Maryland as one of 16 states that will have a severe nursing shortage in 2025. While ADNs can help to stabilize the workforce, they are encouraged to matriculate into BSN programs through dual-admisison and other available programs designed to simplify the process. With barriers to registered nurses continuing their education removed, there’s a greater chance for the workforce fulfilling the IOM’s recommendation to have more than 80% of nurses functioning with a BSN education. According to a Bureau of Labor Statistics 2015 report, registered nurses in Maryland earned an annual mean wage of $73,200.